Buying ganja as soon as you land may be not that far in Jamaica. New regulations would allow visitors to get some weed pretty easily. Jamaica has been linked to ganja in many different and deep ways. Smoking cannabis is an important part of their culture, especially in the Rastafarian community, and with their popular hero Bob Marley putting the island on the map of many who search a chilled lifestyle in beautiful surroundings, Jamaica begins to see the potential of their heritage that it tried to hide for so long. Witnessing the drug policy changes around the world, Jamaica now joins the momentum and launches into a new era of legal cannabis. Following their act of decriminalizing the possession of up to two ounces of marijuana and the permission to grow five plants maximum for personal use, Jamaica now thinks about cannabis kiosks at airports and seaports. This would allow tourists to get a couple of ounces before checking in their hotel. The minute the travelers arrive, they can buy weed at these stores - even without having a licence prior to their visit. Cannabis Licensing Authority (CLA) Chairman Hyacinth Lightbourne said that it would be primarily for people that already have a prescription for medical purposes, but there is also the opportunity to get a prescription right at the kiosk. 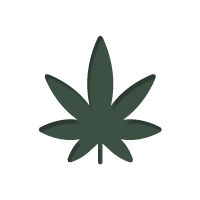 The customer or patient has to "self-declare" to get the licence and then he or she has the freedom to possess up to two ounces of marijuana. The Jamaican government simply keeps the visitors away from the blackmarket with this move. It promises an easy process of registration, so everybody has their clearance. But surely they are looking on the numbers of tax revenues created in e.g. Colorado or any other state where it is legal, too. They have recognised the potential of the market and try to develop and implement the new regulations as quickly as possible. Although the plans of Jamaica are still in the development stage, travelers all over the world will appreciate the approach. Particularly the ease of registration for marijuana users without a licence will globally be celebrated by people wanting to visit Jamaica for obvious reasons. So start slowly packing your luggage if the only thing that kept you away from Jamaica were the strict laws regarding ganja possession!